This is the 'front end' of the database. The 'standard' 8-D fields are not shown here. See NC_DBASE.pdf for the complete record. 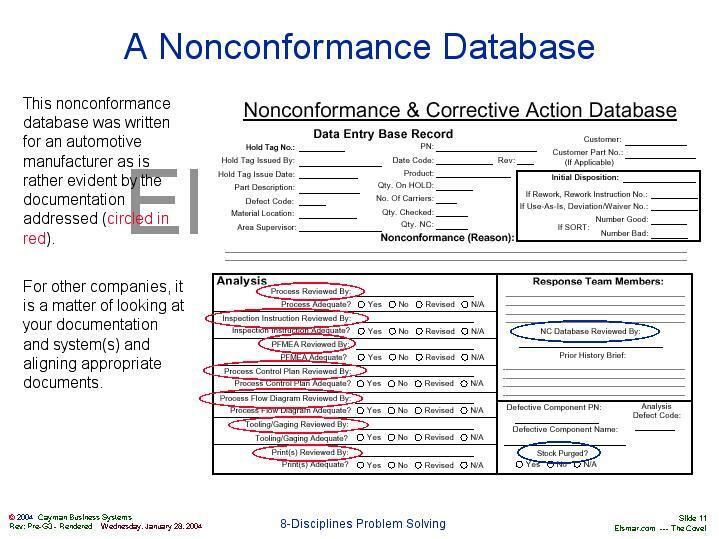 This nonconformance database was written for an automotive manufacturer as is rather evident by the documentation addressed (circled in red). For other companies, it is a matter of looking at your documentation and system(s) and aligning appropriate documents.